Usit Colours is a licensed tour operator and is one of the largest travel agencies in Bulgaria. It has more than 12 years experience in providing travel arrangements and educational exchange programs. 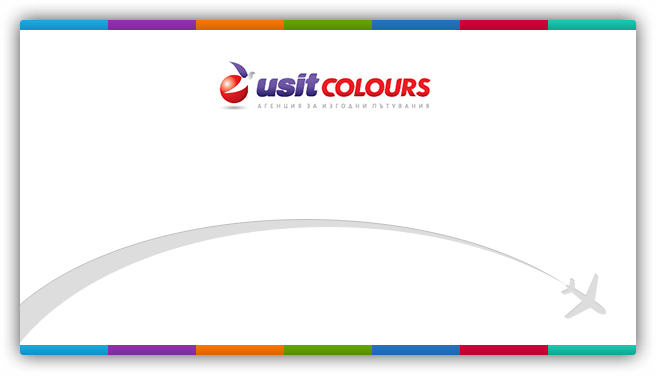 Guaranteed quality and individual approach to each client makes Usit Colours preffered choice. "Live. Travel. Discover "is the belief of all of us, 60 employees of Usit Colours, and our motto "Live colourful" is the covenant that we follow every day. Living Colourful means for us to open your world for new ideas and cultures and trying to understand them and live. If you are a client of Usit Colours and would like to give us your feedback about our products or services, or submit a complaint, you could use our feedback form. In order to proceed to the form, please click here.